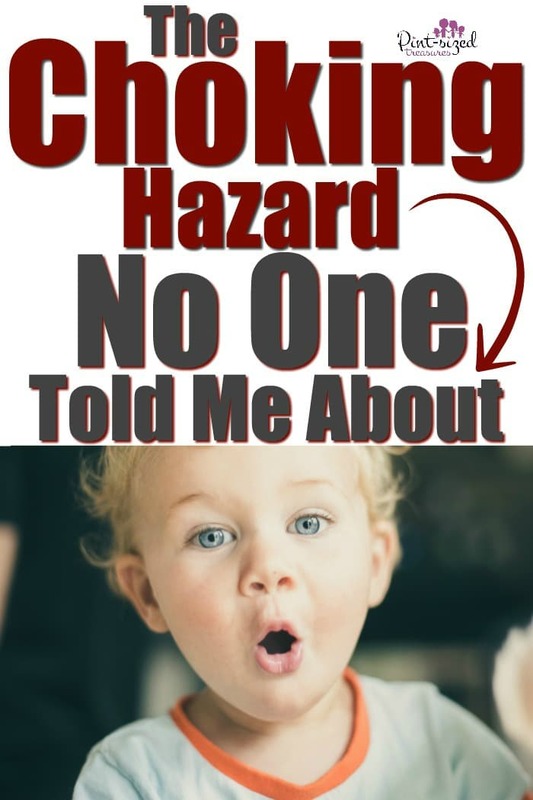 Home › Parenting › No One Told Me THIS Was A Choking Hazard! No One Told Me THIS Was A Choking Hazard! Just a few years ago one of my mom friends flew to Facebook to share her super scary story. She has some of the cutest kids on the planet and almost lost one that day. And something that most of us would never consider a choking hazard. I had no idea this little thing could snuff out someone’s life. And I’m one of those super careful moms who always cuts the grapes in quarters, slices up the hotdogs, and picks up any popped balloons. But her story moved me to write a post warning other parents. One of my biggest fears as a mom has been one of my children being the victim of a choking hazard. That’s why I’m afraid to leave them with a babysitter during meal time. Afraid someone will not cut up the foods that are infamous for choking hazards. Afraid someone will be glued to their phone and not notice my baby is crawling towards something she wants to pop in her mouth. 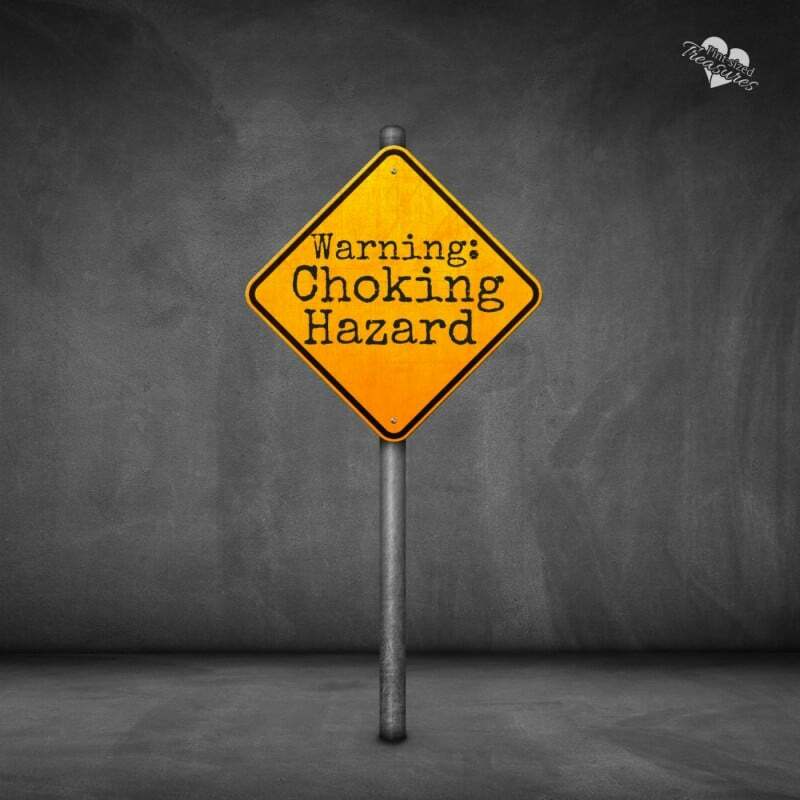 I’ve thought of almost every choking scenario possible (and knew these top ten choking hazards by heart! ), but what happened to my friend’s child had never crossed this worried mama’s mind! I don’t mind the stares when I’m the only parent cutting up hotdogs and grapes. My kids are just way too important to take a chance. And your kids are too. That’s why we’re sharing this story, even though it’s frightening. With all the negative aspects of social media, being able to share REAL parenting stories is a huge perk. No one needs a TV interview anymore to get really important information out to parents. You can simply Tweet or share to Facebook. Do Parents Know This is a Choking Hazard? My mom friend, who I’ve known since she was a teen, was at an expo center for a local show. It was a fun family weekend outing. During the show, she decided to go walk around with a friend and left her two youngest kids with her husband in another area of the expo center. During that time, the dad was chatting with a friend. He immediately scanned the area for his kids. Those gurgling sounds were coming from his very own daughter. His three-year-old princess. She was desperately trying trying to cry to get his attention, but she couldn’t breathe. She had no idea why she couldn’t scream or yell. She was just scared, frightened and confused. Her mom told me it was the most frightening thing ever. Around the three-year-old’s neck was a zip-tie that had been tightened. You know the ones that families use all the time? The ones that almost glue your child’s new toy to the cardboard packaging on every single Christmas and birthday gift? This adorable cute little girl wanted to wear the zip-tie as a necklace. Completely natural thing for a child to do! Almost to the point of being strangled to death. The three-year-old’s father immediately jumped into action to help his daughter. He tried to fit his finger between her neck and the zip-tie, but it wouldn’t budge. His older daughter came to the rescue. She spied some cutters nearby, snatched them up and handed them to her father. With a couple of snips, the dad was able to cut off and remove the zip tie. We’re all so thankful that parents and siblings were close by to help. 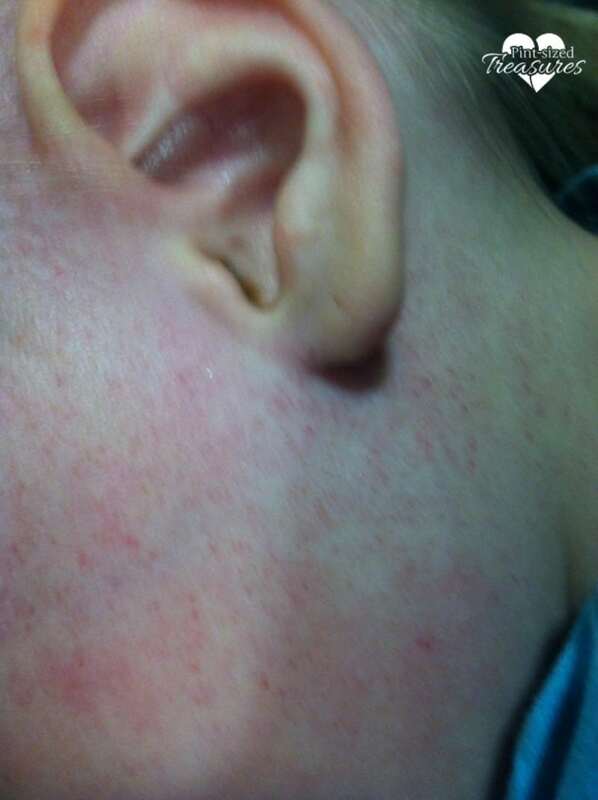 The three-year-old did suffer broken blood vessels around her neck, face and ears. Until that moment, the parents were completely unaware that zip ties were dangerous to kids. And I can completely relate. I never even considered them dangers objects! My friend also told me that zip-ties were lying on the ground everywhere. She saw lots of kids playing with them. They’re plastic, not round and don’t look threatening — but they almost cost a three-year-old her life. Many other items can cause strangulation and choking — like long chords, window blinds and wires. Check out these ways to store those cords and wires so you can keep your home kid-friendly! Dear parents, please, please be careful to store zip-ties in an area where children cannot access them. It’s probably a good idea to be overly conscious of zip ties when you’re at a large consignment or expo sale as well. People also use them when they’re moving homes or businesses. 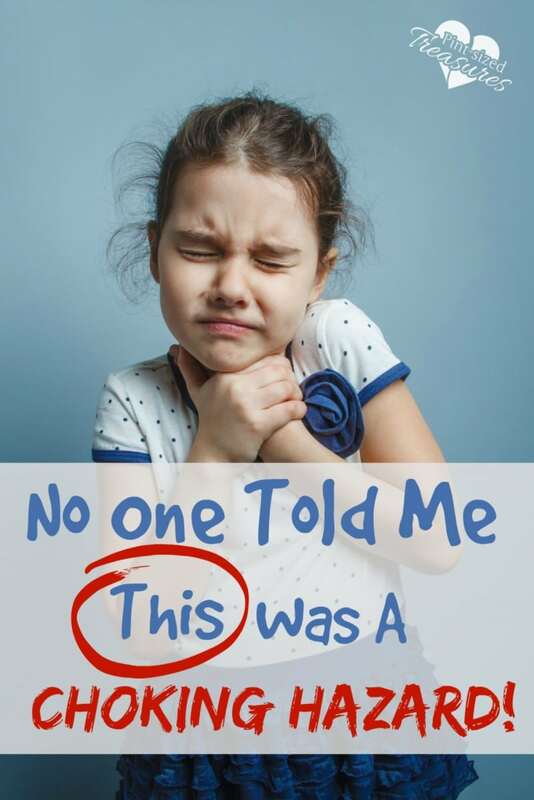 Share this article with anyone and everyone that you know that has a child and keep kids safe!.